This 3-day campaign to promote TBS’ new hit comedy “The Last O.G.” was a fun way to start the festival. The show, if you’re unfamiliar with its premise, stars Tracy Morgan as a recently-paroled ex-con who has returned home to Brooklyn after being imprisoned for 15 years, and he is shocked by his neighborhood’s and family’s changes. He takes it upon himself to improve himself. 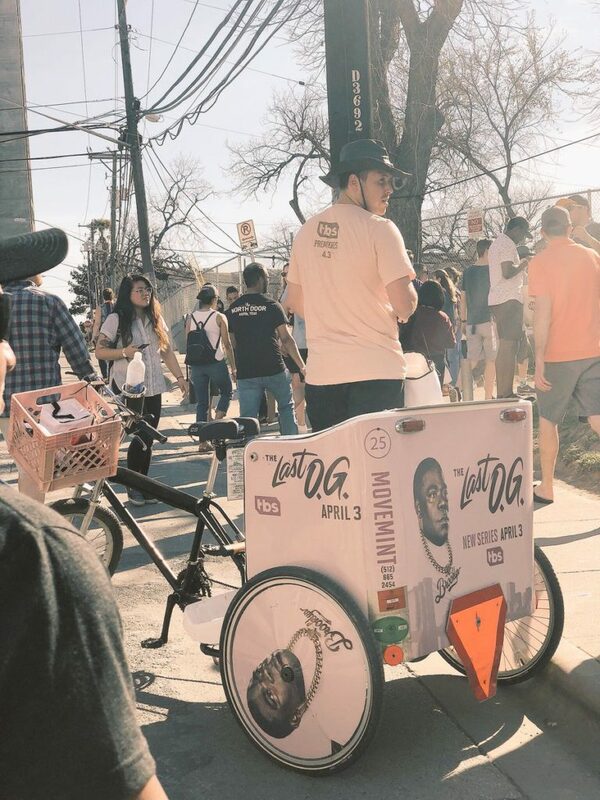 The author’s favorite part of the campaign is that TBS provided our 8 O.G.-branded pedicab drivers a minimum of 150 brownies per day to distribute among fares and passersby. TBS partnered with Greyston Bakery, which is a Yonkers, New York-based bakery that is dedicated to open hiring practices, such as hiring ex-cons like Tracy Morgan’s character “Tray Barker.” The brownies’ wrappers, also O.G.-branded, shared that interesting tidbit, and the brownies themselves were delicious. 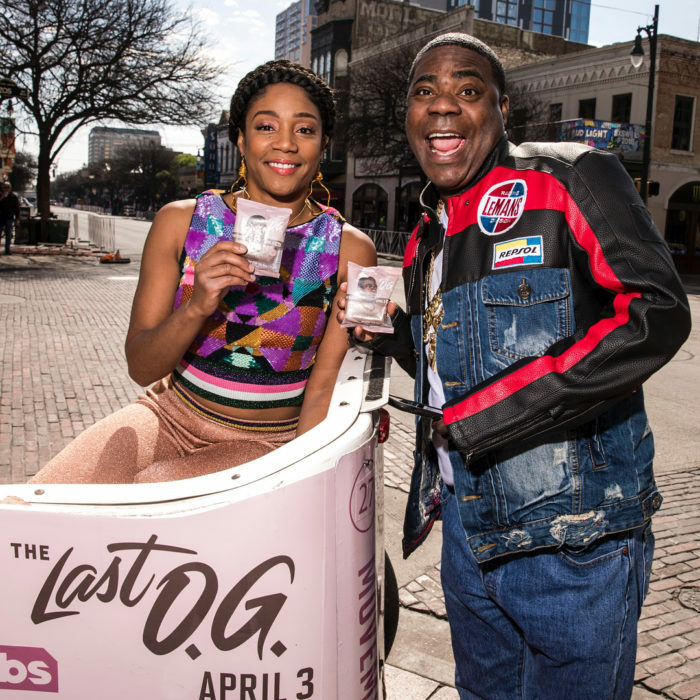 “The Last O.G.” celebrated its world premiere during SXSW, on Monday, March 12th at the Paramount Theater. Our pedicab drivers promoted it, took people to the screening itself (for free), and distributed additional brownies to the exiting audience after the premiere. and provided our pedicab drivers with branded t-shirts.